veryone has played table tennis or ping pong as it’s better known. No life is complete without having done it before. It’s actually something of a standout sport because it doesn’t really divide people in the same way other sports do. Some sports we watch more than actually playing. This is often because of the cost involved, level of skill, or class and background. Ping Pong is different as you just need proper ping pong paddles to get going and you’re on your way. Whether you’ve played it in the rec room at work, at a club, or in your friend’s basement…it doesn’t matter. You’ve done it! 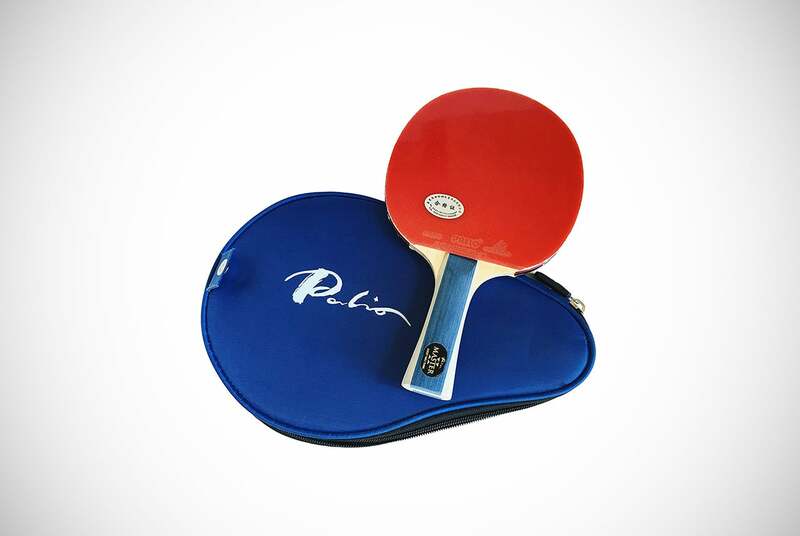 You’ve probably considered investing in your own paddle to show off your ping pong greatness. Why not? Practice makes perfect (ish), as the old saying goes. However, if you’ve just been playing it at a purely recreational level, you’re probably still new to the more intricate details of the sport. Perhaps you’re one of the many people who thought all ping pong paddles were exactly the same? 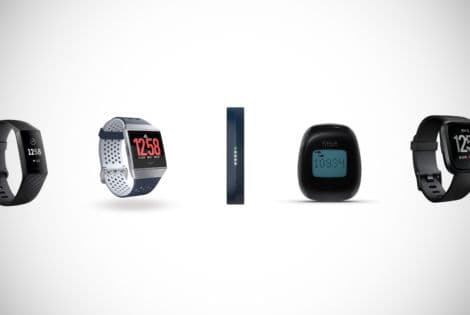 Maybe you’re just overwhelmed by the different terminology, components, styles, and brands. We’d like to offer a helpful nudge in the right direction. Whatever brought you here, we’re going to do our best to get you what you really want and need. That’s an awesome paddle to sharpen your skills and WOW your buddies. 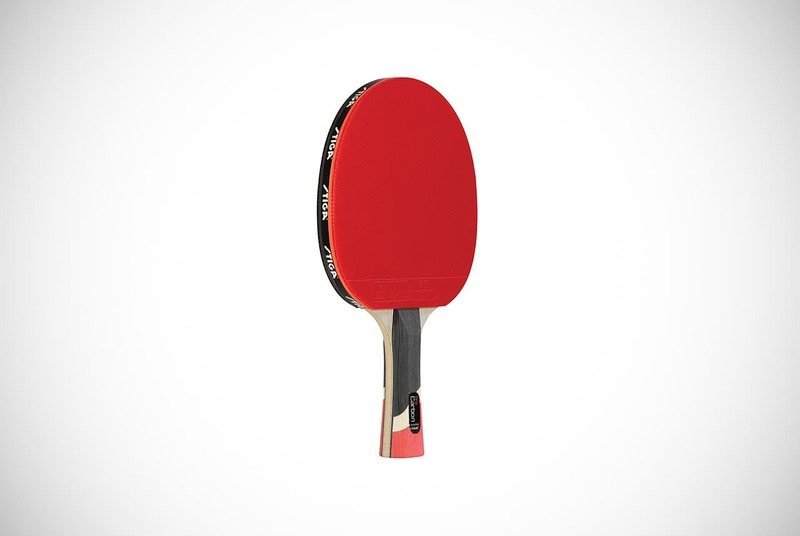 We’ve selected 14 ping pong paddles that we believe are the best available right now. Before all that, it’s important that you understand a little bit more about ping pong paddles and what to look for when you’re buying them. We want to highlight the main things to consider, mistakes people make, and main brands of ping pong paddles. Then, the fun begins! 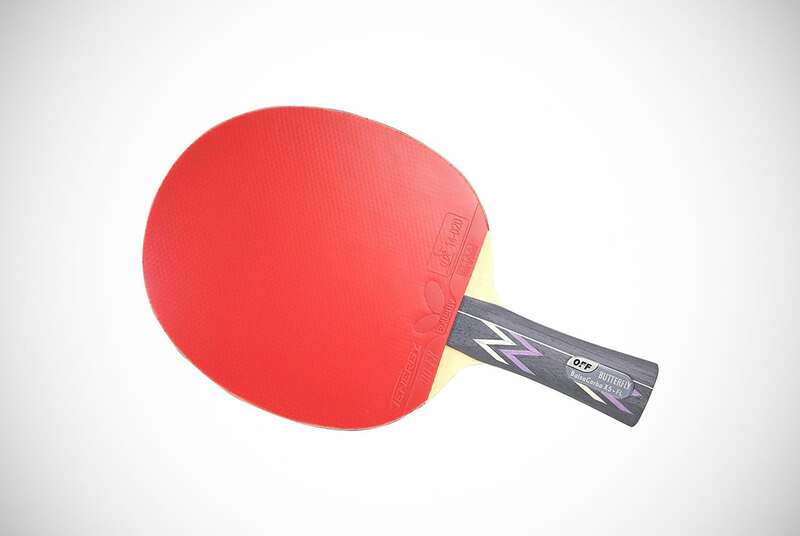 What are the Main Things to Consider when Buying Table Tennis or Ping Pong Paddles? 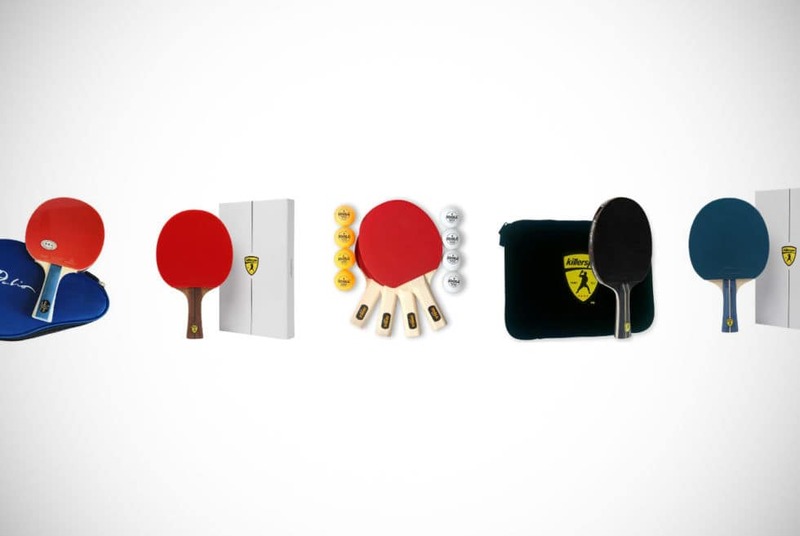 There are many different ping pong paddles to choose from out there. Trust us when we say that it can be hard to even know what a paddle can do compared to another. You could find it more than a little intimidating trying to find the best one for you. This means your ping pong paddle needs to be perfect for you as you’ll use it often. If you don’t play much, you may want to spend less on a paddle compared to those who play frequently. Yet this is only one thing to consider in order to get the best value for what you’ll buy. We decided to go over some important things below, check them out. You need to consider is your actual skill level. The paddle you choose will have a direct impact on how well you perform at the sport. Buying the most advanced and expensive ping pong paddles on the market could actually have adverse effects on your ability to play the game. This is because you may not be able to control the shots you make effectively. Certain paddles are made for more experienced people. They will have things made for them that differ them to others, which could make a novice struggle. Their skill level isn’t as great so they do not see the appeal of that paddle versus another. This makes their play worse, but what also may is the style one person plays versus another. That means you may struggle with certain paddles that do not work for you directly, regardless of what you paid. Simply put, don’t try and run before you can walk. We highlighted this above but we made an entire section of it because we feel it is THAT important. Think about the type of game you play. Are you more of an all-arounder or do you prefer to play offensively or defensively? If you’re starting your journey in this sport, you haven’t developed a playing style yet. This is totally cool, we promise. This just means you’re better off with sticking to an all-around paddle or defensive one. Once you’ve established the type of playing style you have, you can make a proper decision on the type of paddle you need. Ping pong paddles are not hard to deal with, but you need to think of them slightly like golf clubs. Are you going to use a driver to put or a 3 iron when a 5 iron is needed? No. A proper golfer would know the difference, just as ping pong or table tennis experts will know the difference in paddles. Once you discover your style of play, you’ll be fine. You have finally picked a style, eh? Tremendous! Now it’s time to pick between ping pong paddles. The majority of companies tend to use three criteria – control, spin, and speed. Control is not actually a measurement of anything on the paddle itself, this is more an opposite measurement to spin and speed. Generally speaking, as you gain spin and speed while playing, you lose a certain degree of control. Offensive players mostly use paddles that have a mixture of high speed and spin. Meanwhile, defensive players prefer paddles that offer higher control. It’s worth noting though that when considering these measurements, you need to compare them from the same manufacturer. As there are different methods of testing used by different companies and therefore different rating scales shown. Although you have the option between buying a fully customized or a preassembled paddle. Custom versions suit the more experienced player. However, our top picks feature preassembled paddles, as we wanted something for everyone. When you’re just learning how to play the game you don’t need to worry about the different blades and rubbers there are to choose from. What are the Common Mistakes People Make when Buying a Ping Pong Paddle? Newcomers to the sport often make the mistake of trying to emulate other, more experienced players. Players need to learn how to walk before they run when playing this sport. 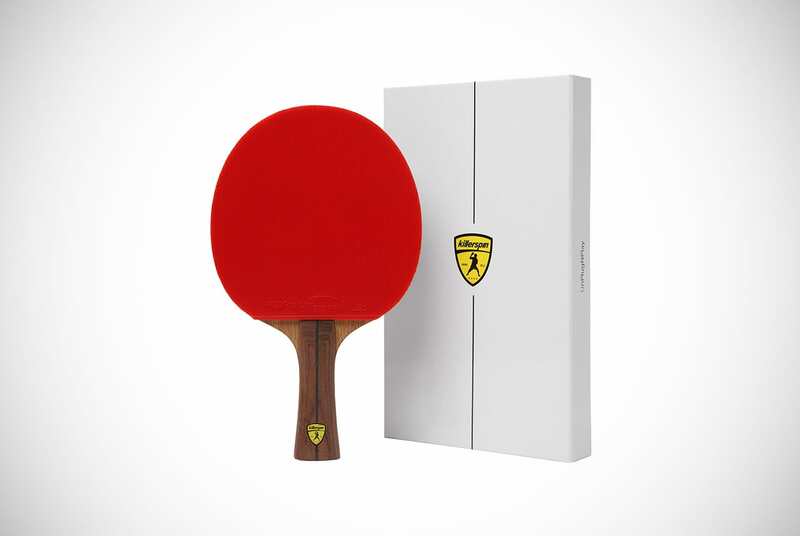 Don’t get caught up in buying incredibly expensive ping pong paddles. Expensive paddles are great as they offer more control or speed. As we highlighted earlier, this does not really help you. Less experienced players will likely not know how to use them properly. Using paddles far too advanced for you may even damage your progress rather than help it. On the other hand, don’t feel you have to buy a dirt-cheap paddle either. While it may seem like common sense to only buy a cheap paddle, don’t. Just don’t. They’re cheap for a reason and that reason will not help you improve your game one bit. Another mistake people make is not asking more advanced players for their advice. You don’t want to use the same paddle as them in the beginning, they know this too. That’s why they’ll be able to guide you to the one you should be using. We can let pride rule us too much sometimes, and ping pong is way more complicated than newcomers often think. Simply learn to be humble if you’re not already. The final mistake we want to discuss that people who are new to ping pong seemingly rushing into buying a customized paddle. They spend a whole lot of money on choosing the rubber, the sponge and the blade. Yes, they’ll undoubtedly have an amazing paddle on their hands. One that will be of no use to them whatsoever because it’s likely they won’t be able to control it properly. What are the Main Brands of Ping Pong Paddles? We’re not about to tell you that you should invest in products from a specific brand just because they’re popular. You should always keep the above in mind, However, the main brands that make a particular product are a good place to start. Especially when you’re trying to find high-quality and reliable items. Again, your level of experience, budget, and playing style should always be factored into any decision you make. However, a company with a good track record is worth investing in. There are many brands that produce ping pong paddles, but some stand out more than others. For example, look anywhere online and you’ll see one name showing up, time and time again. It’s Killerspin, right? They’re undeniably one of the best and most popular brands currently making table tennis bats and with good reason. They know what it takes to make paddles for all levels. Other names to look out for include Palio, Butterfly, and Stiga. Many even include guides with the ping pong paddles they sell. Stick with these brands and you’re bound to have success with your new-found passion. Now that you’re more clued up with what’s what when it comes to table tennis, it’s time to get you tooled-up with an awesome paddle. One that’ll leave your opponent devastated on the mat as you walk off victorious. Please remember to be a good sportsman and gracious when you win or lose. A fist pump is acceptable though. Just do us a favor and don’t Michael Bolton it! There’s a lot to love about the JET800 by Killerspin, especially if you’re a more advanced or improving player in the sport. The power it has is amazing, allowing possible mastery over your opponents due to it. The blade of the JET800 N1 consists of carbon fiber in two layers. This comes between five different layers of premium-quality wood. A total of seven layers perfect these ping pong paddles for offensive players that want to take more control. It features Killerspin’s own renowned high-tension Nitrx-47 rubber. It’s fully approved by the ITTF for competitions and provides enhanced power and spin to your game. Not only that, its top sheet offers you an amazing grip on ball strikes when serving, allowing heavy spins on balls as well as countering spinny returns easily. The wood and carbon all work together with this beautifully handcrafted flared handle that ensures you have the best grip on it, regardless of hand size. The wooden side tape technology adds an extra touch of artistic flair while also protecting the blade. The side tape won’t peel either!! It comes with elegant packaging with its memory book that enables you to store your paddle safely when it’s not being used. This also keeps a record of your scores, signatures, and anything else you want to cherish. Next up to the table is a collaborative effort between Expert Table Tennis and Palio. While the rubbers that feature in the Palio CJ8000 are not different, they provide the same level of spin and approved by the ITTF. The blade has been redesigned from the previous, however. Expert Table Tennis has worked on it to give enhanced feeling and control. These ping pong paddles have all the things that beginners should take note of. Underneath its slick and stylish exterior, this paddle benefits from two of the aforementioned Palio CJ8000 rubbers all wood blade. Those rubbers are known for the spin they generate, while the softer sponge helps to rein it in so it can be wielded effectively. The top-sheet has the right level of tackiness to provide sidespin, backspin, and topspin when necessary. To top it off, its flared handle fits in your hand like a glove. The accompanying case gives you a nice place to protect your paddle between victories. Of course, this also works for the occasional loss, no doubt. It’ll ensure your rubbers stay as clean as possible. 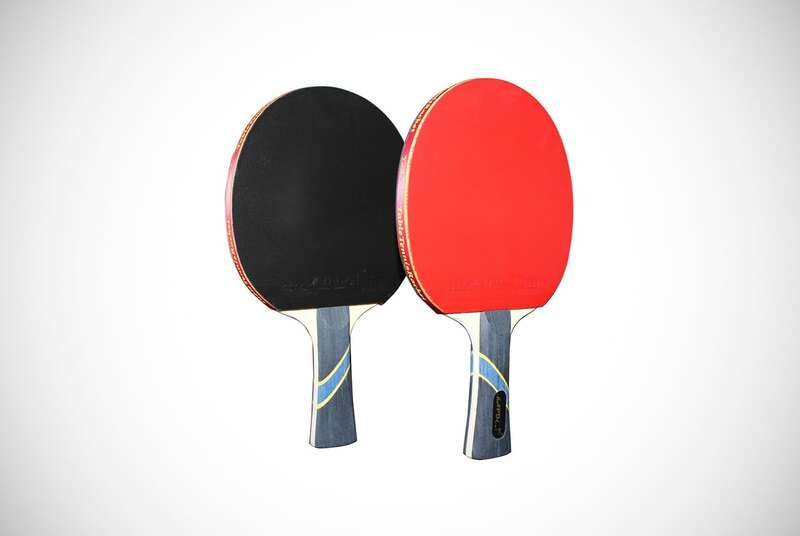 We bring you not one affordable ping pong paddle, but TWO ping pong paddles from MAPOL. These paddles have everything the training player could want and need. If you’re relatively new to the game but have a willingness to improve, you’ll find these incredibly helpful. 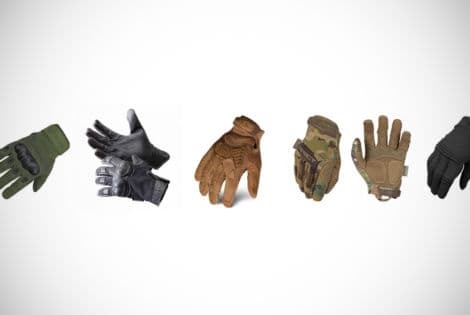 They have flared handles that provide a comfortable and versatile grip, regardless of hand size. The seven layers of wood in the blade helps to give you a nice bit of weight. This is coupled with specially-chosen rubber and 2mm sponge to complete the awesome package. Don’t be alarmed by the price, because MAPOL has given them some serious attention and the detail is remarkable. They weigh around twice as much as the average beginner’s paddle. Yet they have an exceptional tackiness that helps to generate the spin you need for trickier returns you want to throw at your opponent. Compared to some paddles, these have a little more padding. This may or may not be to your liking. Make sure you’re aware of that. 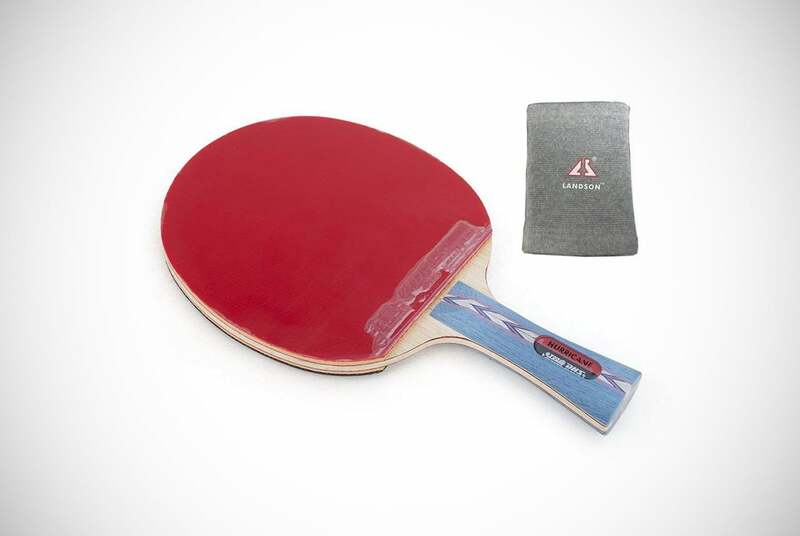 In addition to the two ping pong paddles, this set also comes with its own branded MAPOL Sports carry case. This helps to keep the paddles in good condition between your various bouts you’re sure to get into. As noted, these are marketed more beginners as well as those with ongoing training or who play casually. However, for the price, they deliver much greater value for the money than you’d maybe expect. Our next competitor is this beauty from the masters at STIGa. The Supreme is aptly named, for when this baby delivers, it makes the hit count. With its performance ratings for control, spin, and speed calculated as 89, 92, and 90 respectively, this is a seriously good paddle. These ping pong paddles utilize future-inverted rubber with a lightweight blade comprising of six layers of wood sandwiched between it. The 2mm of sponge provides that nice bit of tackiness. This is something you’re looking for when you want to put a little spin into your shots. With its Italian-sourced and produced composite handle this paddle gives you grip you need to stay in the game. With the addition of the company’s own ADT or Shock Dispersion Tube, the paddle absorbs vibrations and transfers that energy out of the handle. This allows you not to feel the same level of fatigue you might have when playing with an inferior shot maker. While the Weight Reduction Balance(WRB) reduces its weight dramatically, it retains the ideal shape for increased ball sensitivity. This also offers an enhanced recovery rate and superior blade balance. 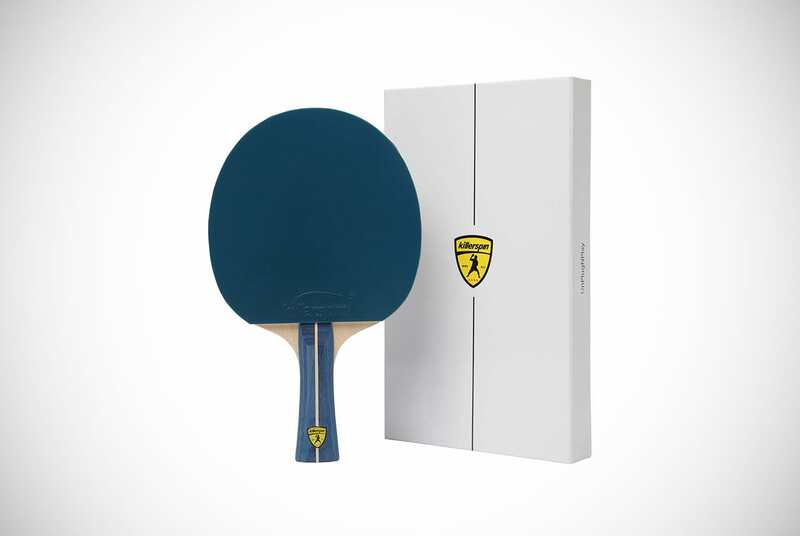 These ping pong paddles are called “Supreme” because it delivers a supreme paddle for excellent playing performance at an equally amazing price. Word of warning though, this has clearly been made with more advanced offensive or tactical all-rounders. Meaning, if you’re more of a defensive player or rank beginner, you may want to look elsewhere. The Butterfly Pro-Line is tremendous, offering a hand-assembled model with Timo Boll all-rounder blade. This also comes with a beautifully flared handle. The blade gets its name from a German Table Tennis star who plays for Borussia Dusseldorf. He’s a top-ranked player currently in the German Table Tennis National League and the ITTF rankings. Perhaps the idea of playing like a legendary player of the game is attractive to you. If so, you need to give this expensive, but great value paddle your consideration. These ping pong paddles feature two rubbers. One for the forehand, that is a red Tack Fire Drive 2.0 and the other on the backhand, where you’ll see a black Tack Fire Drive 2.0. As we discussed at the outset, it’s important to establish your playing style and technique before investing in more expensive paddles. Needless to say, if you’re an all-around type that has a penchant for those offensive attacks, you’ll want to get your hands on this paddle. Combined with the rubbers, this model has a flared handle with five layers of wood in the blade. This makes it a devastating weapon in the right hands. Although it has a performance rating of 69 for control, it scores 81 of speed. Meaning you’ll be able to fire those spinny returns and serves easily. That’s if you’re ready to handle such a tool, of course. The Butterfly brand is known for producing high-quality paddles made from well-sourced materials. This paddle appears to be no different. Back on the court with Killerspin again for another reminder of why they are masters when it comes to manufacturing ping pong paddles. 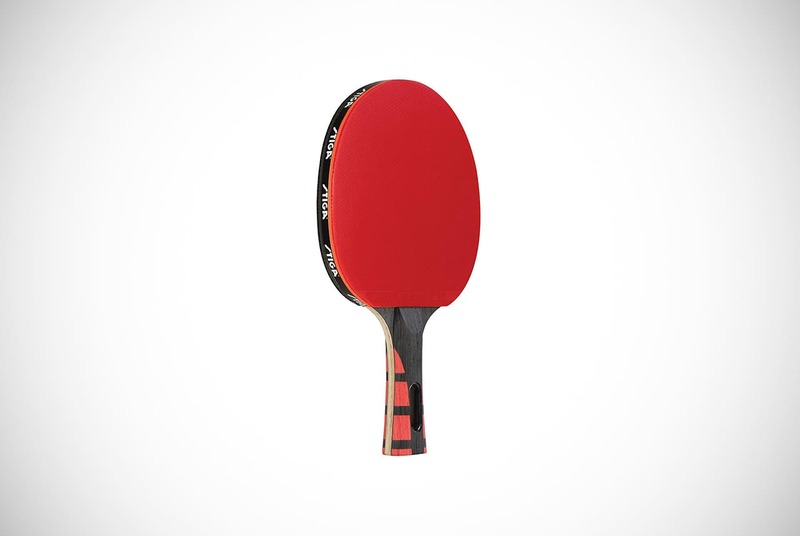 The Jet Series ping pong paddles are designed with the everyday player in mind. Although looks aren’t everything, imagine slipping this incredible looking black paddle out of its smart sleeve, with your enemy looking on. What’s going through his or her mind? Are they trembling? We think they should be. The wooden handle has been flared to perfection to provide you with the kind of control and comfort. This will allow you to hit those shots with the spin and power you desire. Like most Killerspin paddles, this paddle features the highly effective Nitrx-4Z rubbers and have five layers of wood between them. It may not be the most powerful, but it sure offers a lot of control and spin for a very mid-range price. When you consider what is included in the price, a professional level black case, you’ll be insanely happy. You can fit a maximum of two paddles in the case with an elastic fastener holding them in place. There will still be enough room for four, count that, four balls. If you’ve been playing for a while and are looking to up the ante a little, this is a great way to do so. Perhaps you’re playing table tennis for a good laugh with your work buddies or the guys when they come around on a Saturday night. The professional stuff isn’t for you it seems. If that’s what you’re looking for, the JOOLA 4-Player Hit set may just be what you need. You get everything you need in one package. The ping pong paddles themselves are quite interesting. They offer a three-layered blade that favors backhanded players. This gives a very smooth surface that manages to produce an interesting amount of spin and speed to keep your games exciting. The selling point here is the four ping pong paddles you get. This comes along with a whopping eight balls and a compact carry case to keep it all in. All this comes in under the $20 mark. How can anyone actually argue with that value? We’ll overlook the JOOLA Racket Performance Scores of 34 for Spin and 33 for Speed. As we’ve noted, this is not for experienced or even intermediate players looking to devastate their opponents at the local club or courts. Maybe you’re looking for a great way to shoot the breeze with your friends after work. Perhaps you’re wanting to bring a bit of friendly competition to the rec room. Either way, this is perfect for it. If you have a real thirst for victory at a higher level, then this next offering from STIGA might just give you what you need. 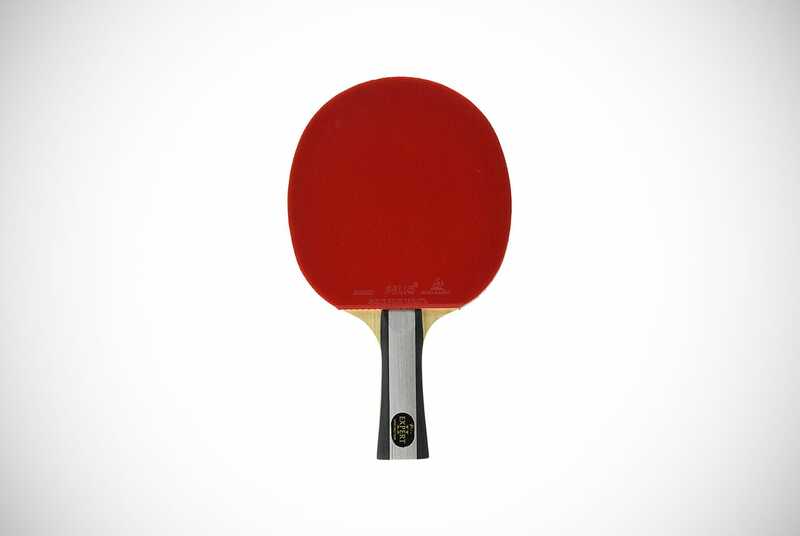 These are extremely high-quality ping pong paddles from the manufacturer, and features the Shock Dispersion Technology (SDT) mentioned in the model we covered further up the page. This involves a cutting-edge composite rod that’s been integrated with the blade and handle. With the tubing, vibration and energy are generated when the ball makes contact with the paddle. This passes through the tubing and out of the bottom of the handle. By converting that kinetic energy into sound energy, it helps to improve the feel, control, and speed of the paddle. This is one of the reasons why these ping pong paddles have a performance rating of 90, 94, and 96 for control, spin, and speed respectively. Another reason though could be the fact that the premium quality rubber used that has full approval from the ITTF for tournament play. Meanwhile, the 2mm layer of sponge and the six layers of wood that form the blade also help this. All in all, this is not one to easily pass on. Yet another set of Butterfly ping pong paddles are up to serve. This differs from the previously Pro-Line model due to the blade being made from a Balsa carbo combination. This makes it a first in the world of table tennis/ping pong. The lightweight quality of balsa wood has been used to create a blade that gives you the control and precision to block effectively and effortlessly. A lot of that power is derived from the carbon also used in the blade. A total of five layers is divided into three wooden plies and two carbon plies. While the paddle benefits greatly from the inclusion of Tenergy 80 FX rubbers. This is Butterfly’s own creation and ensures there is a well-measured balance between speed and spin. Its sponge has been softened to better suit those who enough joy mid-distance looping or all-around attack forms of place. Definitely not for amateurs, this is for the truly serious professionals or those looking to move into professional levels of play. The performance ratings speak for themselves – 80 for control, 95 for spin and 100 for speed. This is truly a miraculous piece of paddle engineering and ingenuity indeed. 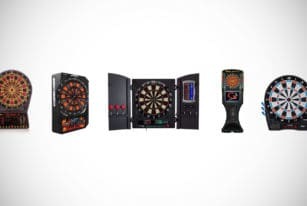 STIGA are well-known for their trailblazing attitude to developing and incorporating advanced technologies and evolved materials in the construction of their paddles. The next product from this amazing company is representative of their reputation. The SDT that’s been mentioned a number of times already is ever present in this particular paddle. This comes along with the layers of carbon that help to enhance the response level and improve the paddle’s rigidity. Seven plies of balsa wood have been crafted to increase the response time and speed. As ever, there’s premium-grade rubber used in the construction and sponge to help achieve nice spins you need to give your opponent the runaround. All in all, it’s incredibly affordable for one of this quality of design construction. 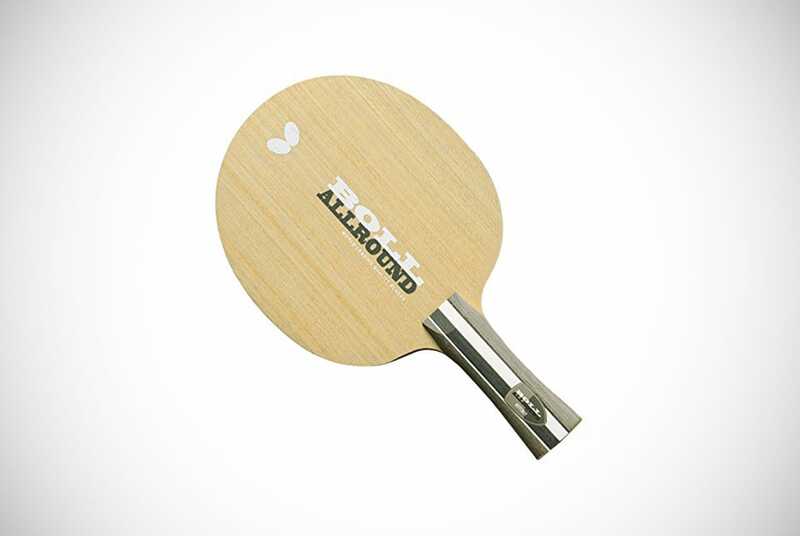 These ping pong paddles are certainly for the advanced beginner who is looking to move up a level. It’s also for the intermediate types as well as experts looking for a lightweight weapon to put a different spin on their game. See what we did there? 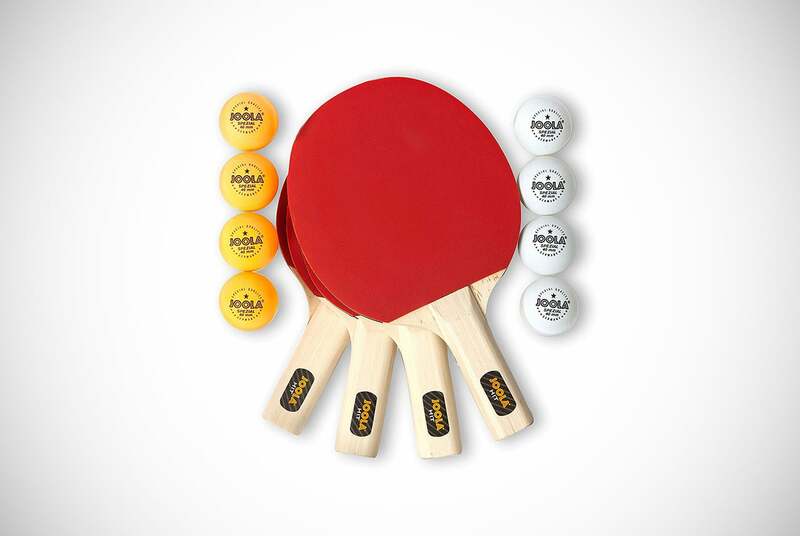 Another value bundle pack, this set from Duplex offers affordability and all you need for a game of ping pong. Compromising of two ping pong paddles and three balls, this is more suited to the casual player than anyone looking for a serious professional career in ping pong. That’s not to say it’s not without merit. After all, for just over $20, you get two ping pong paddles made to a reasonably high standard, and three decent balls to play with. Turn up to work with these in tow and a ping pong table and you’ve made a battleground for lunch-time tournaments and gripping near-knuckle rallies. Just don’t expect anything more. That’s all we’re saying. 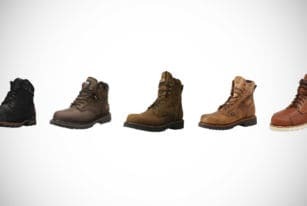 This lives up to what it was made for and we’d be pleased to turn up to the Men’s Gear office and see these babies waiting for us. We wouldn’t recommend them if you’re looking to work on your blocking, chopping, or backspins though. From one extreme to another, blowing onto the court like some kinda strong wind comes the DHS Hurricane. This is a shakehand-style paddle that was designed especially for Wang Liqin to use during the Olympic Games in 2000. Red and black pimpled rubbers provide versatile play, depending on which side you use. If you’re looking for a more defensive bouncy game, the black will suit you. Whereas if you are looking for those crushing forearm offensive strikes, stick to red. The biggest selling point aside from its Olympic heritage is the fact it looks and feels well-constructed. You know what it’s like when you hold something and just know it’s a good product. That’s the impression you get with these ping pong paddles. It’s designed to produce a lot of spin in the ball, meaning if you’re not used to that kind of play, you may find it tricky to use. Have patience or get back to the end of the line and aim for something more beginner. The penultimate paddle on our list is the Killerspin JET200. 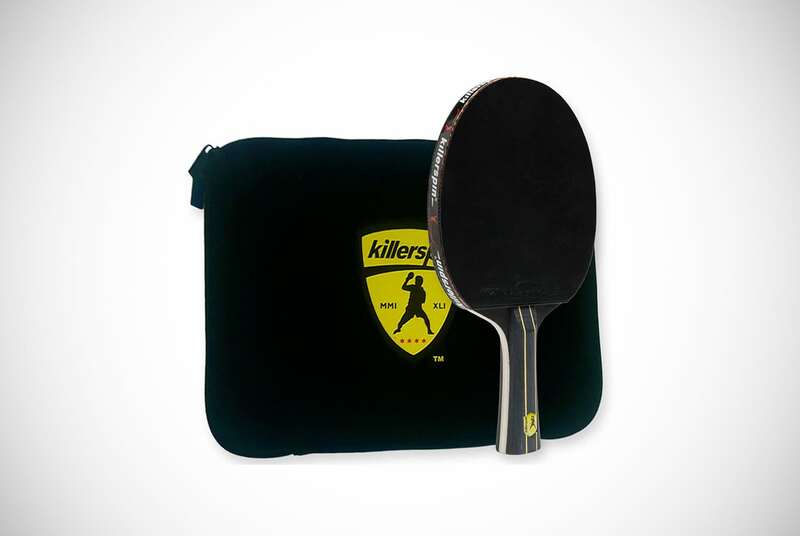 We’re big fans of Killerspin here at Men’s Gear and it’s not too hard to understand why. Just take the JET200 as a great example of what this company does best. First things first, it comes in three different colors. While ours is the more traditional-looking Blue-Vanilla, some of you may be more Lime or even Mocha dudes. Now to the important side of things – the playing. 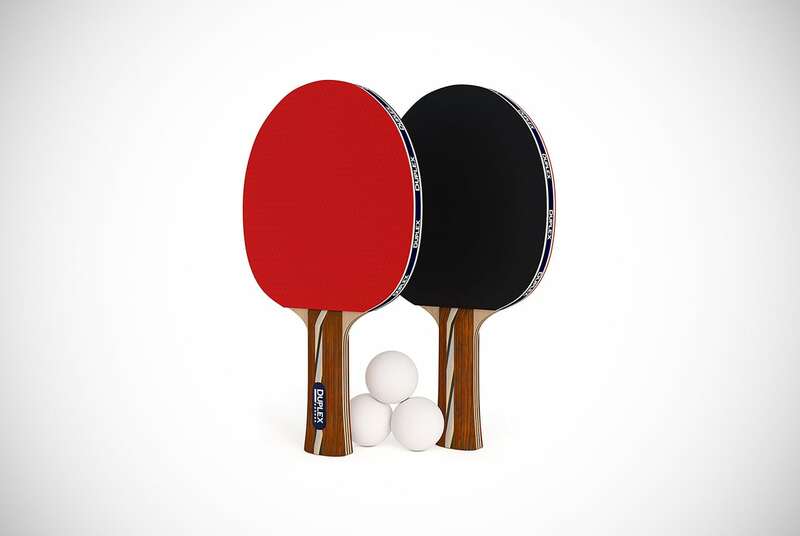 With these ping pong paddles, you get a great level of play that belies the price tag. Lots of control, spin and speed are produced by the five layers of wood that are covered in the Jet Basic range of rubbers from Killerspin. This paddle is perfect for the beginner looking to get the basics perfected before moving on to something with more bite and aggression. Like many Killerspin products, you get a really cool gift box that includes a memory book to keep a record of your scores. It may even have signatures of ping pong legends and as well as something to write your own notes. Finishing up our guide is this Palio Master 2 paddle that is a collaborative effort between Expert Table Tennis and Palio. 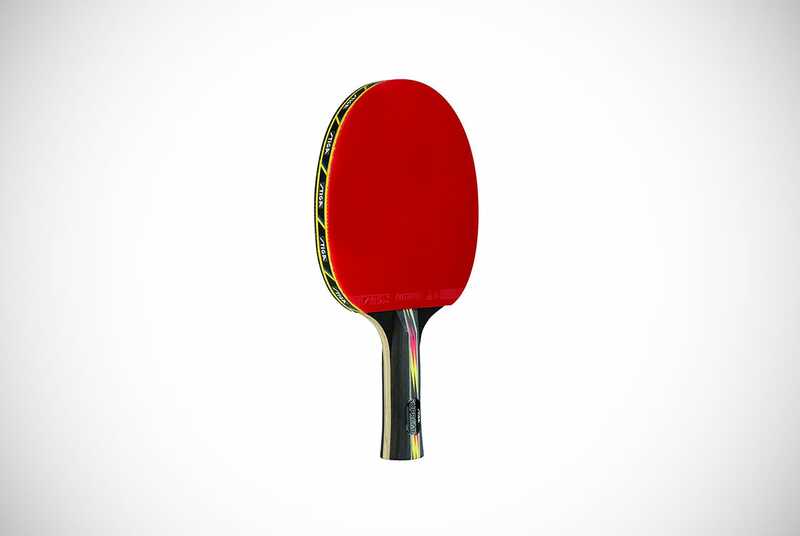 It still utilizes the CJ8000 rubbers that offer high-quality spin and are fully approved by the ITTF. It is a great all-rounder and provides the perfect balance between control and speed. The rubbers have a great degree of tackiness meaning you can produce a lot of different types of spin. Think of things like the sidespin, backspin, and topspin. It does all of them with relative ease. As is pretty standard, it features a comfortable flared handle which won’t cause you fatigue even during longer matches. Although it’s not designed to cope with the level of play an experienced or even advancing intermediate plays at, this is a great all-rounder. Ping pong paddles such as this are tremendous, despite pros not being as big of a fan of it. The average Joe will surely enjoy them, and it seems the reviews agree. It can seem like a bit of a minefield when you start navigating through the many different ping pong paddles on the market. However, we’ve hopefully shown you that once you know what you’re looking for in a paddle, it’s a lot easier than you imagined. Especially so when you know what style of play you want, level of play, etc. It doesn’t matter if you’re a weekend warrior looking to improve your skills or just hit some balls on your garage. You may even play in an actual club with real bonafide ping pong pros. Even if all you’re looking to do is to own a decent paddle to take to work when Steve from Human Resources comes in. He’ll try to tempt you and place his filthy money on your desk, speaking of challenges of the ping pong variety. We all hate Steve from Human Resources and you need to smite him, smite him good. One of the paddles above will help. Whatever you’re looking for, we’re sure you now have everything you need to find the right ping pong paddle for you! 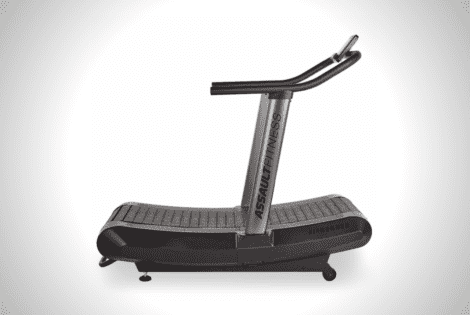 The AirRunner by Fitness Assault is a lightweight and portable treadmill designed with high-intensity interval training in mind. 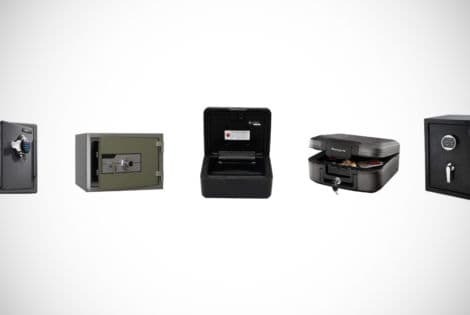 Don’t let the heat get to you with our list of the best 17 fireproof and fire resistant safes. Protect important documents, valuables and cash - and feel at ease against the flame.